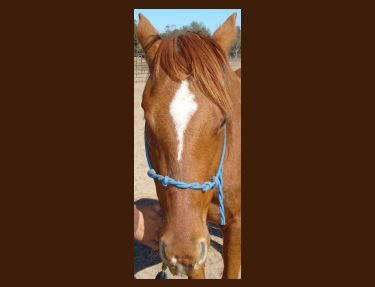 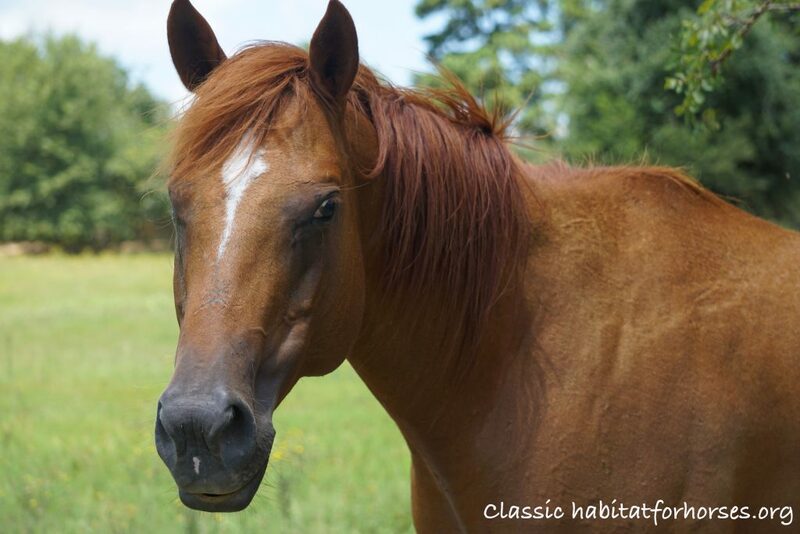 Classic is a loving young lady who is great with people and other horses. 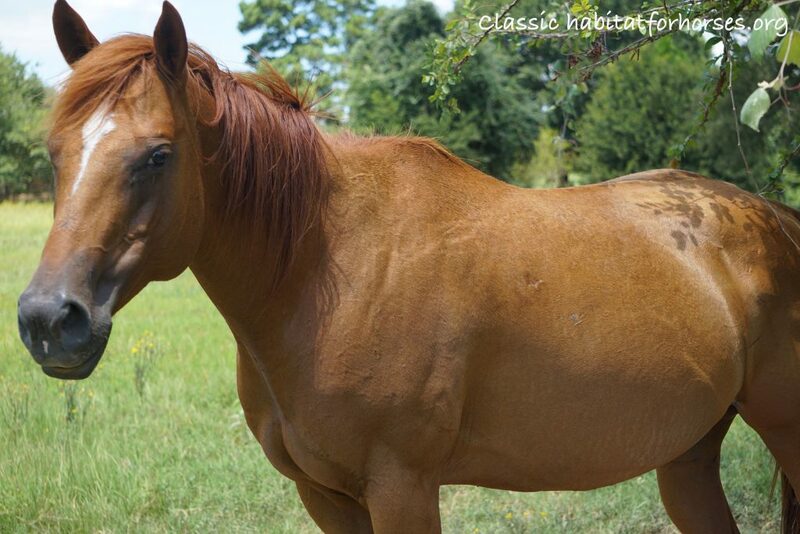 She is blind in her right eye but has great ground manners and is currently being trained to ride by a gentle experienced hand who takes her disability into account. 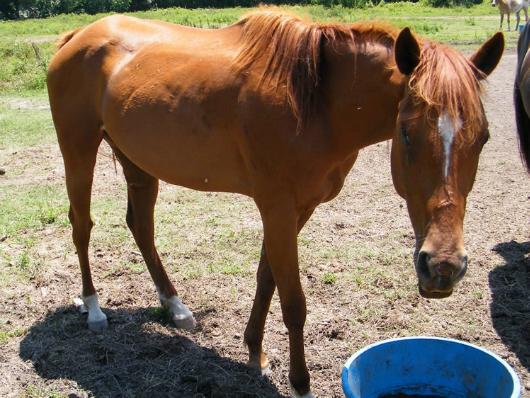 Due to her blindness, her rider should always talk to her to let her know where they are – especially if standing on her right side. 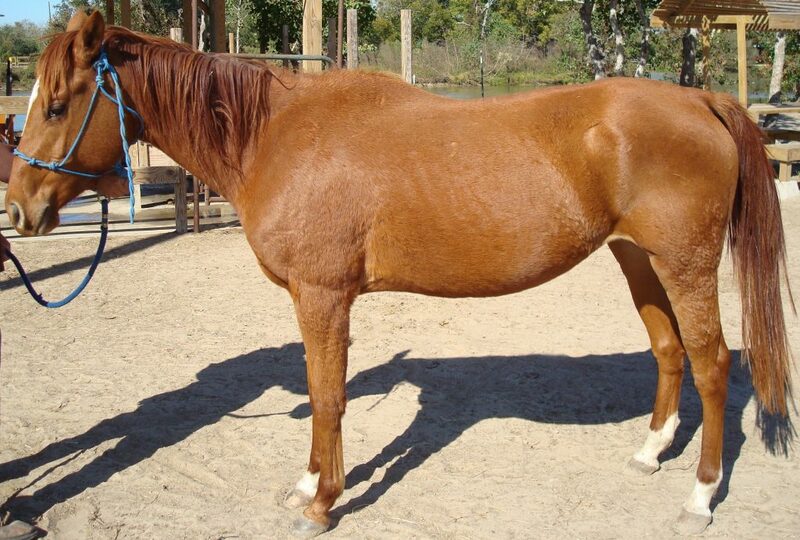 As Classic is still being trained by our staff, she will still be labeled “under evaluation. 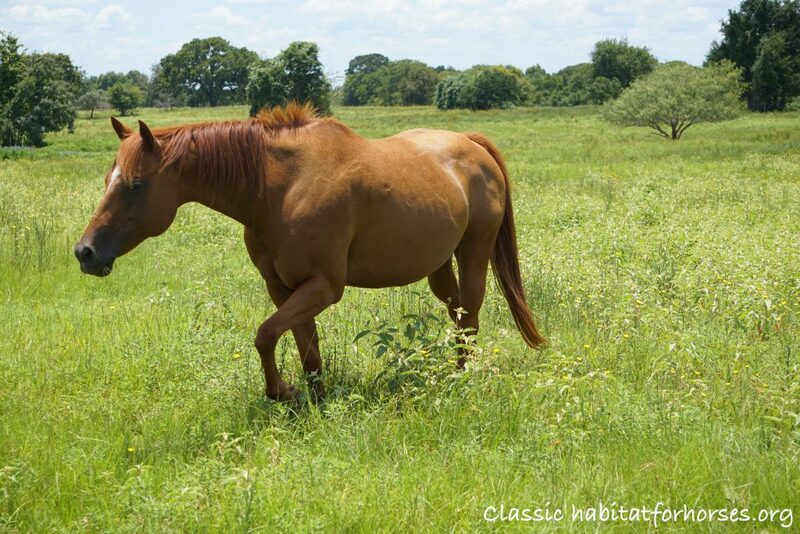 Call us to find out more about her status. 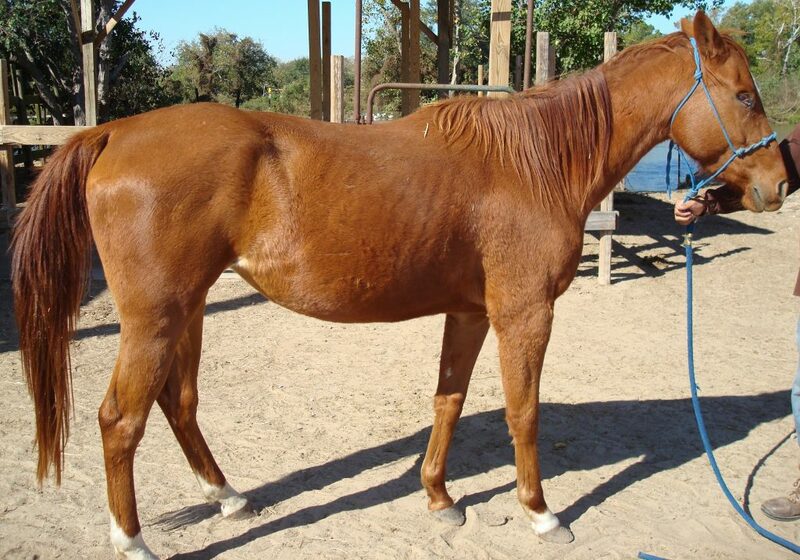 This sweet mare is looking for her forever home.